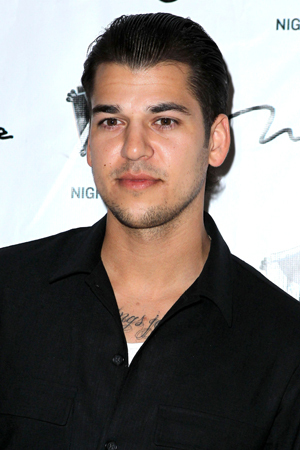 He wasn’t necessarily arrested and taken downtown, but Rob Kardashian was cuffed this weekend in Miami. What happened? As one of the nation’s party hotspots, people get into trouble down in Miami for all sorts of reasons: Drinking too much, partying too hard, getting into fights, or pulling a “Snooki,” like on season two of Jersey Shore, by being drunk in public on the beach and falling over into the sand. Repeatedly. Is that what happened with Rob Kardashian this past weekend? No, but this sounds worse, actually. The reality television star was briefly detained by police early Sunday morning in Miami for chasing after a photographer, E! News has confirmed. According to the police report, the local officials heard a man yelling, “Police!” and saw Kardashian running after a paparazzo. The man, whom cops then identified as 43-year-old photographer Freddy Hernandez, ran into a nearby store and reportedly said, “He is going to hurt me,” in reference to Rob. Kardashian was then briefly handcuffed by the cops. Hernandez told the police that he was shooting footage of Rob and a woman when the reality star became upset and started chasing him. Though he did initially tell the cops that Rob was going to hurt him, he later admitted that the celebrity never actually threatened or assaulted him, and that no physical scuffle actually happened between them — other than a brief chase on the streets of Miami. Kardashian was released without incident. What a close call!